The fire drill is coming along beautifully. I have 7 out of 16 blocks for my spinning stars done. My goal is to finish the blocks by next Friday too. I haven’t even thought about the back yet aside from pulling fabric. 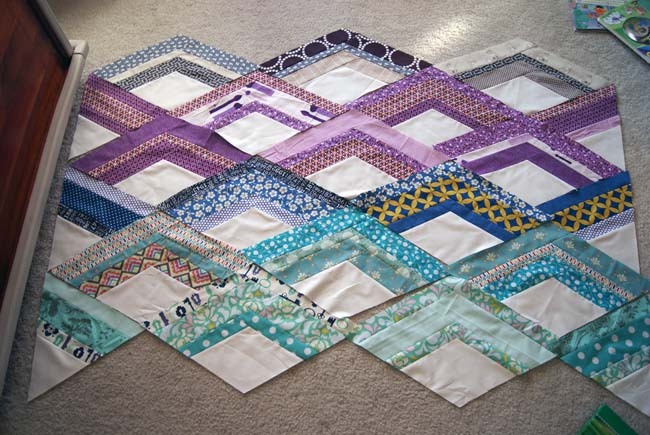 How are you going to quilt yours? I love the colors you have so far. I look forward to seeing your final top. Thanks, Laura! My MIL is a very colorful person (in a good way) so I’m hoping it lives up to her style.